Super Pursuit Mode engaged! 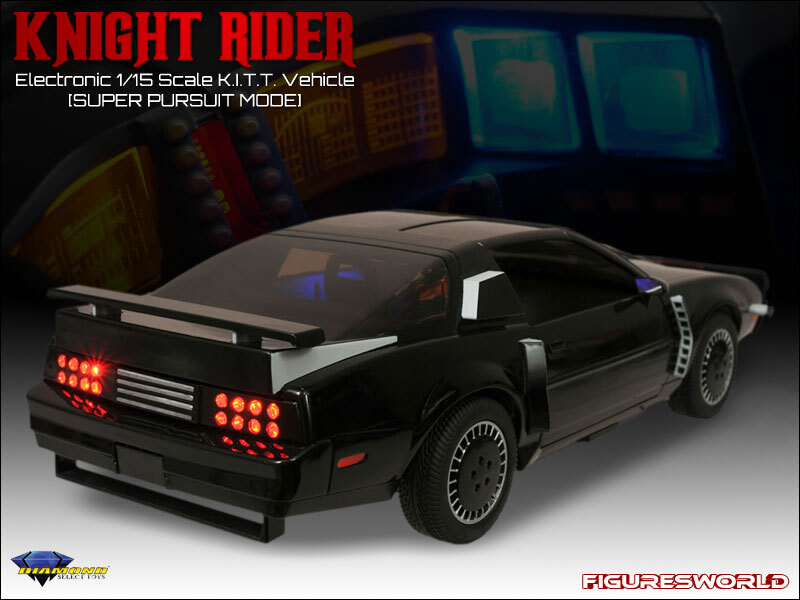 This 1/15 scale replica of the Knight Industries Two Thousand (KITT) from the popular TV show Knight Rider measures 14 inches long and features working lights and sound effects from the show, including the distinctive voice of KITT! 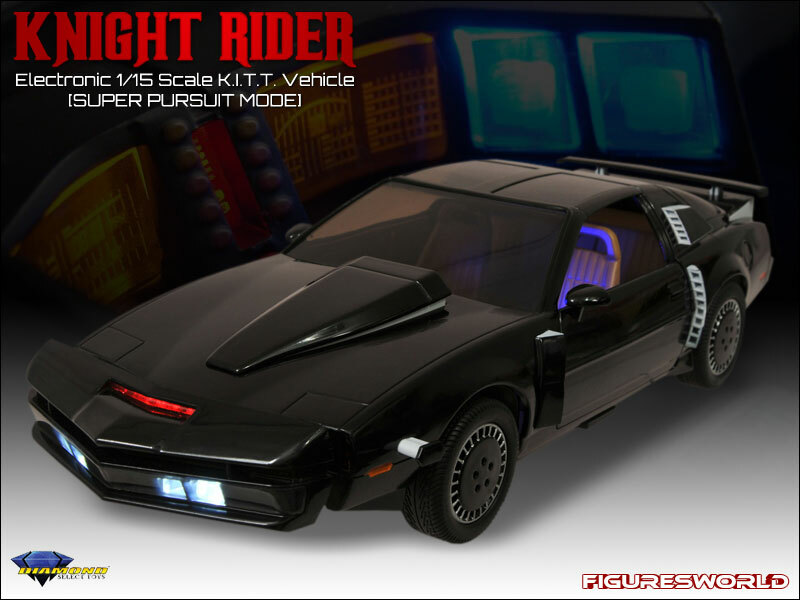 This special SPM edition depicts KITT with all of his speed-enhancing gadgets extended, and includes exclusive SPM dialogue and sound effects! Get yours today, because they'll go fast!